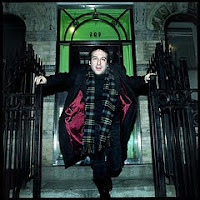 Through the writings and photography of Robert Barry Francos, a view of the arts and culture, including everyday life. When I was in middle school (then called junior high), I was standing on the lunchroom line. The much bigger kid behind me kept poking me in the ribs to tickle / bully me. It was painful, as I am hypersensitive to tickling, and I told him to stop, and why, but he would not. When I finally had enough, I turned, jumped (he was tall), and punched him in the face. He was definitively more shocked than hurt, and that single-punch altercation was the closest thing I’d come to winning a fight I’ve probably ever had. The lunchroom ladies came out see what was the ruckus. When they heard what happened, they gave me a free lunch and the kid had to stay on line usual. That was the end of it. 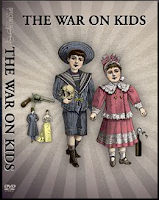 If that incident were to happen now, posits the new film documentary The War on Kids, I more likely to have been suspended for a year, been taken to court in shackles, and had a felony conviction on my record. WAR starts off with a whole list of absurd “Zero Tolerance” violations – which was originally created to focus on drugs and weapons – such as kids carrying a three-inch keychain (key word is chain to the administrators), a GI Joe plastic one-inch “gun,” nail clippers, an ibuprofen tablet (non-prescribed drug), and other no-gray-area literal translation of the rules. There are the usual talking heads interviews scattered throughout, which are very thorough in choice, such as students, teachers, administrators, principals, psychologists, and of course academics who have published books. Some of these I would like some clarification of their expertise, such as the clinical psychologist with a Masters in Education (i.e., what has she published? ), and someone from the Rutherford Institute, whatever that is (no, you look it up!). Cevin makes many strong and effective points about how schools have turned into factories of control, the most provocative example of which is an interview with a prison guard intercut with a school facilitator; the language and environment is eerily similar. The video of a drug raid on over a hundred students who happened to be in a school hallway at that moment, using SWAT Team police with guns drawn and pointed at the students while drug-sniffing German shepherds bark and growl at the students, nose at their backpacks, is a scene right out of 1964 Birmingham, Alabama. Oh, and no drugs were found. In a telling interview, the school’s principal is apologetic for the way it happened, but I wonder if it was because it failed rather than the actual methods. Topics are covered pretty thoroughly, such as security, over-zealous crackdowns as mentioned above, anti-drug messages geared toward young students, abuses of power by teachers and administrations, and use of prescription drugs (e.g., Ritalin) overly prescribed to control behavior (and their negative side effects). The documentary is not shrill, like Michael Moore’s (note that I really like Michael, but he is too big a part of what he is trying to say), which is important to state a point, but occasionally this is a bit hyper. For example, one part focuses in on CCTV cameras in schools. While it is truthfully pointed out that cameras really are ineffective in stopping crime (Columbine had cameras, for example), it is a world-wide phenomenon in this modern technological world, not just in schools. Walk down any work office hall or city street, and odds are you are being recorded (I just read an article that says there is one street camera for every fourteen people in London). Cameras in schools is just a part of an advanced trend of the panopticon, which was created by Jeremy Bentham in 1785 as a form of prison design. [en.wikipedia.org/wiki/Panopticon]; Michel Foucault discussed the use of this system as control in Discipline and Punish. Authoritative teachers who use the classroom for power predates the rise of these new measures (about 10 years, one interviewee states), even before the early 1960s when my first grade teacher made me sit in a garbage can and had the class kick the an I was in. It predates Dickens. Hell, it probably predates schooling described in Plato’s Republic (whom social critic Neil Postman referred to as the first published fascist). It’s inherent in hierarchical systems, especially ones involving the weak and powerless such as children; dominators would be attracted to such a structure. Despite these flaws, I can understand why this film won the Best Educational Documentary award at the New York International Independent Film and Video Festival. It could use some tightening up, yes, but its message is clear and important. DAVE RAVE & TEENAGE HEAD: Rave On! Currently living in Saskatoon (email at RBF55@msn.com for address). From 1977-88, I used to publish a print version of a music magazine in New York called FFanzeen, which dealt with the wide-ranging independent music scene. I also photographed many bands from the period (and since). Now I write this blog, and have a column at jerseybeat (dot) com (slash) quietcorner (dot) html. And the beat goes on.